There has been quite a lot of press about the Gameover Zeus virus and most of the antivirus providers have been working overtime to find a means of blocking it. At the beginning of June the FBI, Europol and the UK’s National Crime Agency warned users that, although they had managed to block the virus temporarily, they expected the cyber-criminal to find a way around their blocks. 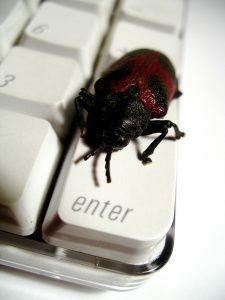 The GameOver Zeus virus gets in via infected hyperlinks and email attachments and tracks keystrokes to get your banking passwords and log ins for the sites you use. The second step is CryptoLocker, which then encrypts your hard drive and the cyber-criminal then demands a ransom to unencrypt your data. Even if you pay it there is no guarantee that your data will be unlocked. Along the way your computer becomes part of their network and spreads the virus to others. Make sure your antivirus is installed and up-to-date. Don’t open attachments that arrive by email unless you are 100% sure you know what they are. Don’t follow links that arrive by email OR on social media unless you are confident they are innocent. Ensure your data is backed up at all times – somewhere not on the same network as your current hard drive. If you use the Cloud check that changes on your hard drive are not automatically updated to your Cloud system, or that there is a ‘previous version’ available to view. If in doubt get expert advice from your IT support professional. Don’t ignore this – it’s not a hoax.